Luxury Log Homes in the North Carolina Mountains. 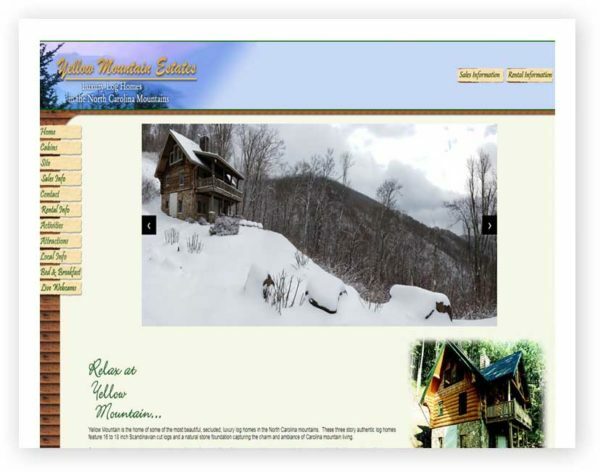 Yellow Mountain is the home of some of the most beautiful, secluded, luxury log homes in the North Carolina mountains. These three story authentic log homes feature 16 to 18 inch Scandinavian cut logs and a natural stone foundation capturing the charm and ambiance of Carolina mountain living. Open, airy living spaces with unparalleled views of North Carolina’s finest foliage provide timeless relaxation. All homes are fully furnished and beautifully decorated.